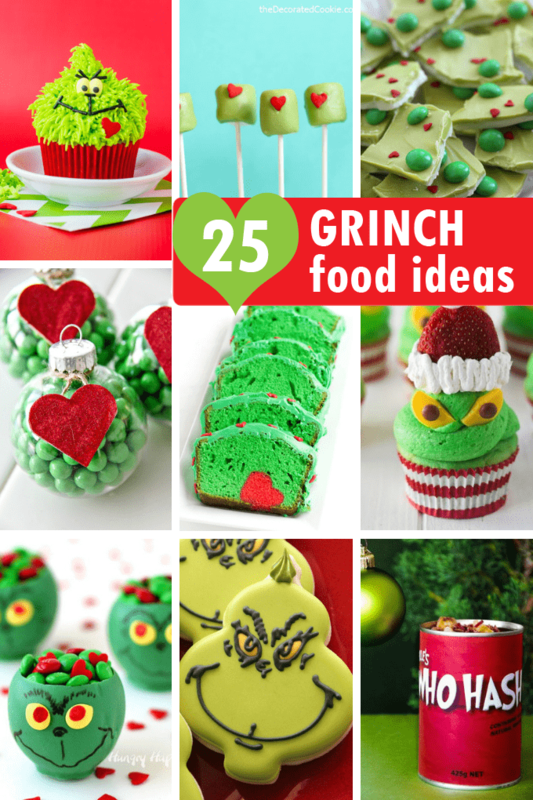 25 GRINCH FOOD IDEAS: A roundup of fun food for your Christmas party. 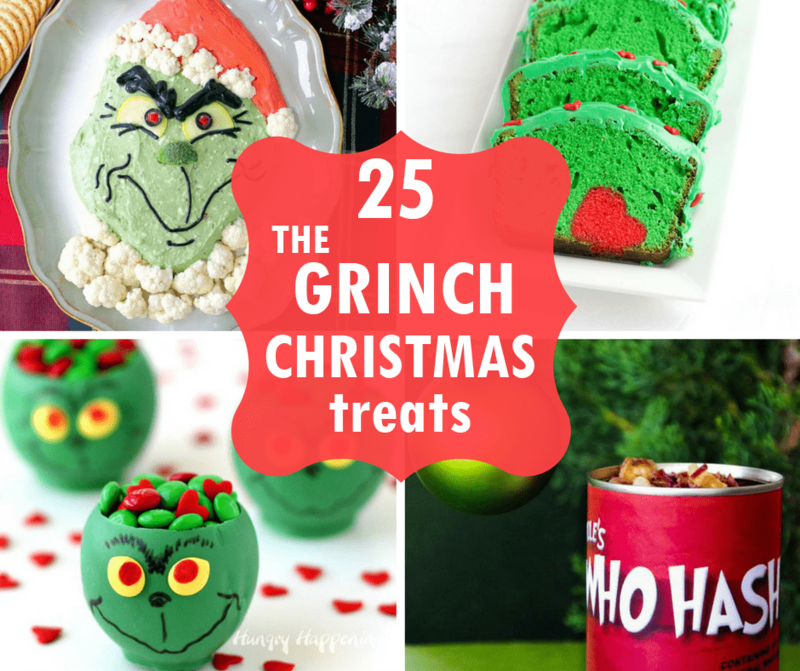 A roundup of 25 Grinch food ideas for Christmas. Maybe Christmas doesn’t come from a store. Maybe Christmas means a little bit more. Like marshmallow pops and cookies. Here’s a roundup of 25 Grinch-themed foods from Dr. Seuss’s classic book and the yearly special so you can celebrate a growing heart this Christmas season with green stuff. 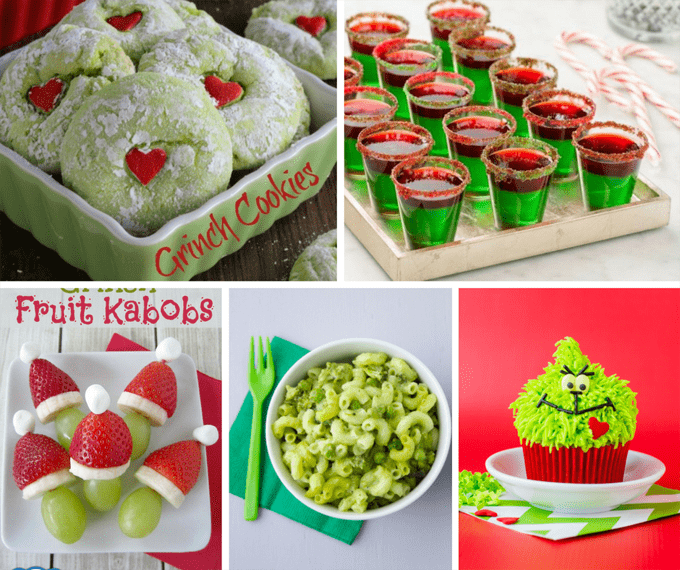 If you’re looking for Grinch food ideas for any of your holiday parties, check out these recipes and tutorials from some of my favorite bloggers. 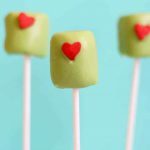 Make Grinch marshmallow pops at the decorated cookie. Make a Grinch cake at The Bearfoot Baker. 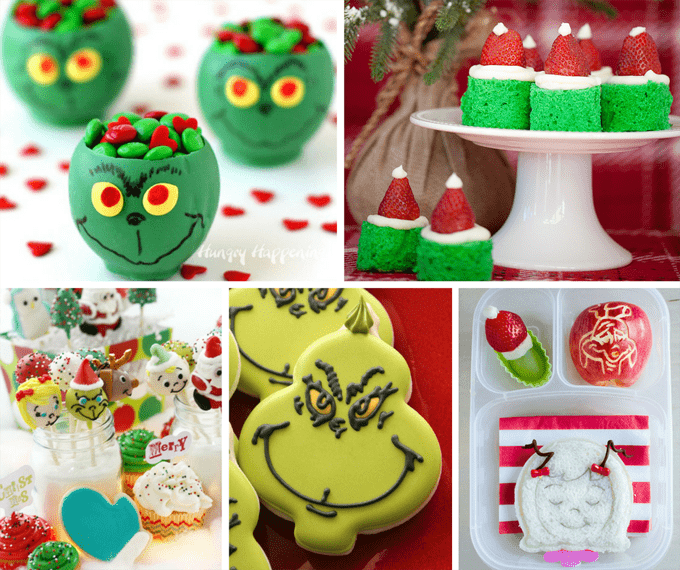 Make Grinch cupcakes at Confessions of a Cookbook Queen. Make a Grinch cocktail at Sweet ReciPEAS. Make Grinch candy cups at Hungry Happenings. 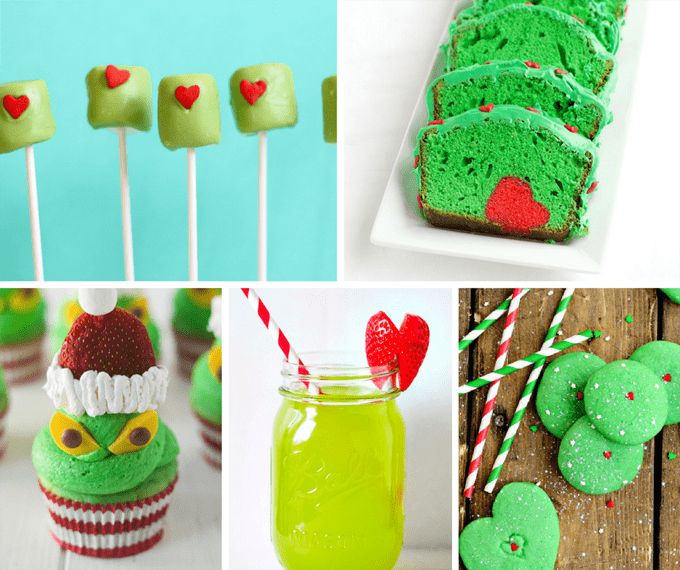 Make Grinch cake bites at Celebrate Creativity. Love these Grinch cake pops at Nashville Sweets. Make a Grinch bento at One Crafty Thing. Make Grinch cookies at Sweet Sugarbelle. Or make cake mix Grinch cookies at In Katrina’s Kitchen. Make Grinch Jello shots at Delish. Make Grinch kabobs at Momables. Make green mac and cheese at Weelicious. Make Grinch cupcakes at Make Bake Celebrate. Make Grinch guacamole at Kudos Kitchen. 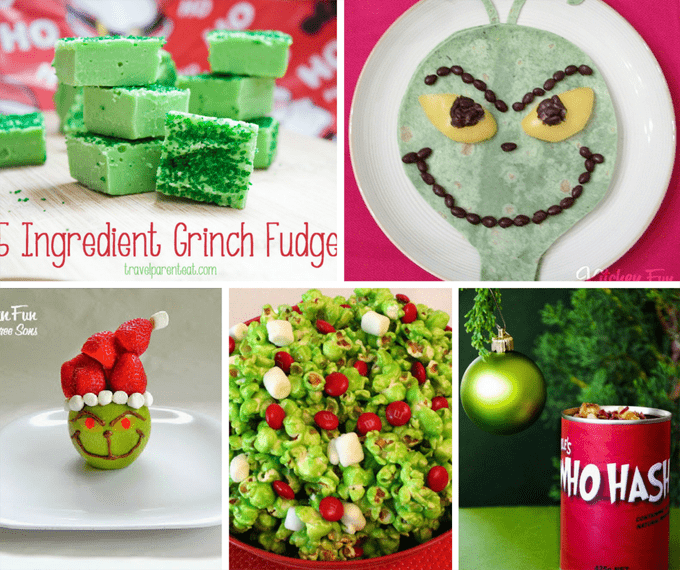 Make Grinch Rice Krispie Treats at Sugar Swings! Serve Some. Make M and M Grinch ornaments at Jo Lynne Shane. 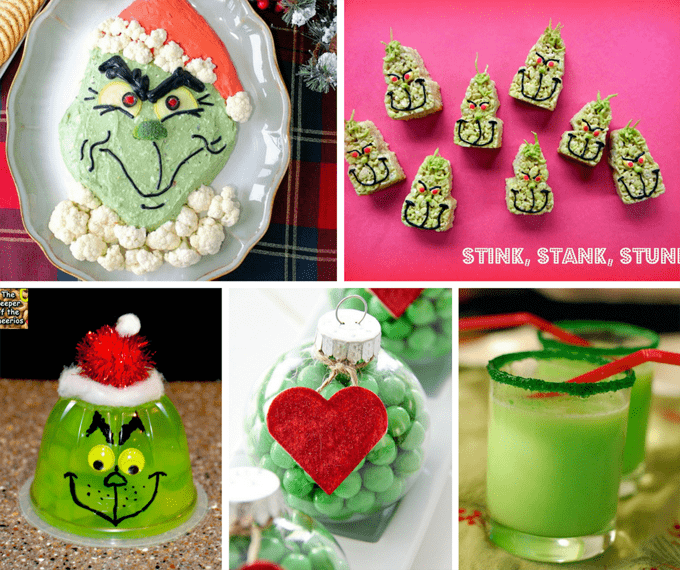 Make Grinch Jello Cups at The Keeper of the Cheerios. Make Grinch punch at Babble. Make Grinch fudge at Travel Parent Eat. Make Grinch quesadillas at Kitchen Fun with My 3 Sons. Or Grinch fruit snack at Kitchen Fun with My 3 Sons. Make Grinch popcorn at Two Sisters Crafting. You can even make Who Hash, at Blogher. But wait, there’s more!! I keep finding awesome Grinch food out there. here are two more (bringing up the total to 27). 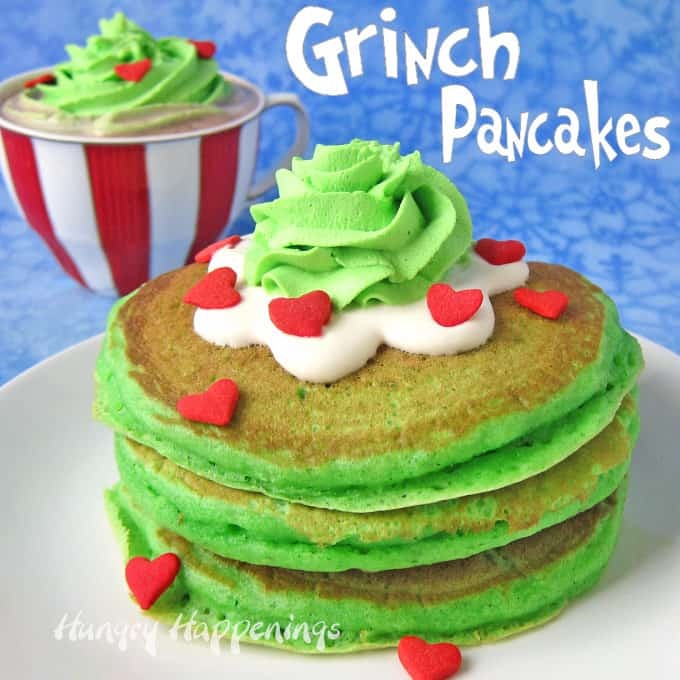 Awesome Grinch pancakes by Hungry Happenings! 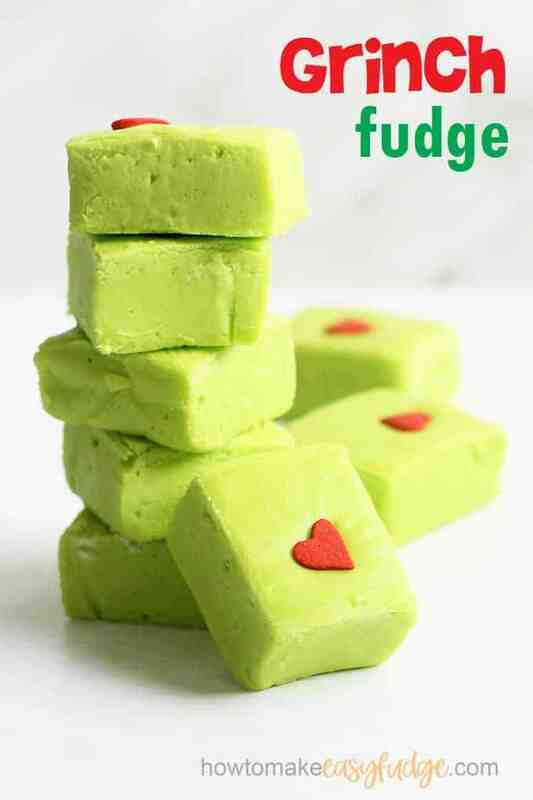 Love this super-easy Grinch fudge over at How to Make Easy Fudge.